On December 5, 1933 came the repeal of the 18th amendment and the end of National Prohibition. Four Roses soon became a top-selling Bourbon during the 30s and 40s. 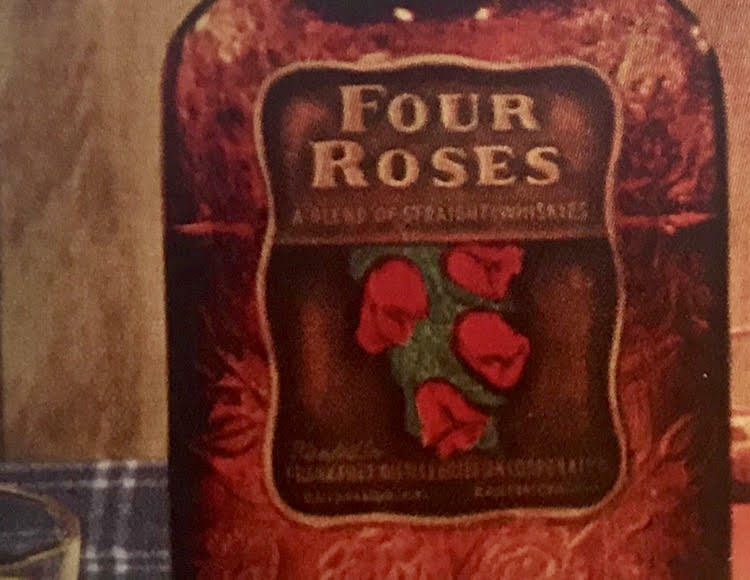 In 1943, Seagram purchased the Frankfort Distilling Company in order to obtain one of the most recognized names in the industry at that time – Four Roses Kentucky Straight Bourbon. 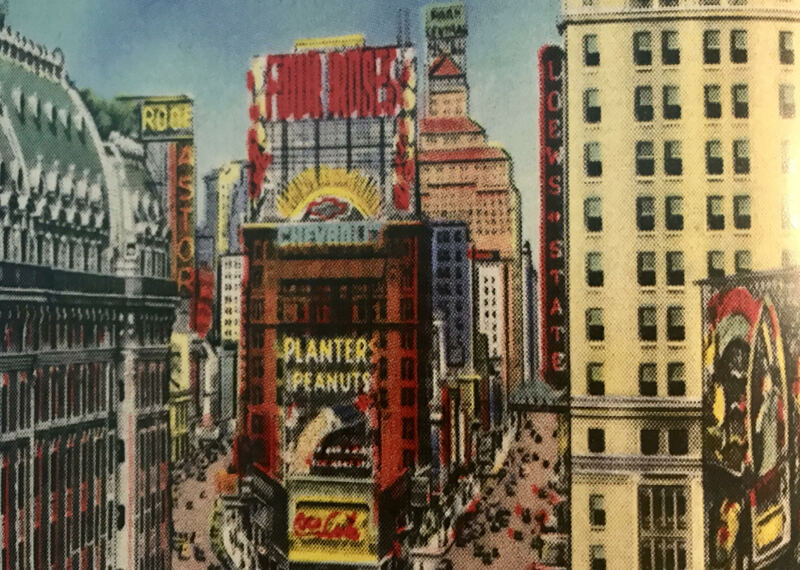 Four Roses advertising reached a highpoint between this time and five years after Prohibition, with a lighted outdoor advertisement in New York City’s Times Square. The outdoor sign showcased a spiral of roses on either side of the name “Four Roses” at the top. With a time-released mechanism, the spirals would “grow” from the bottom of the space to the top and would electrically illuminate. The center of the main panel would go dark and then read “A Truly Great Whiskey!” The sign premiered in 1938 and remained in operation until 1945. 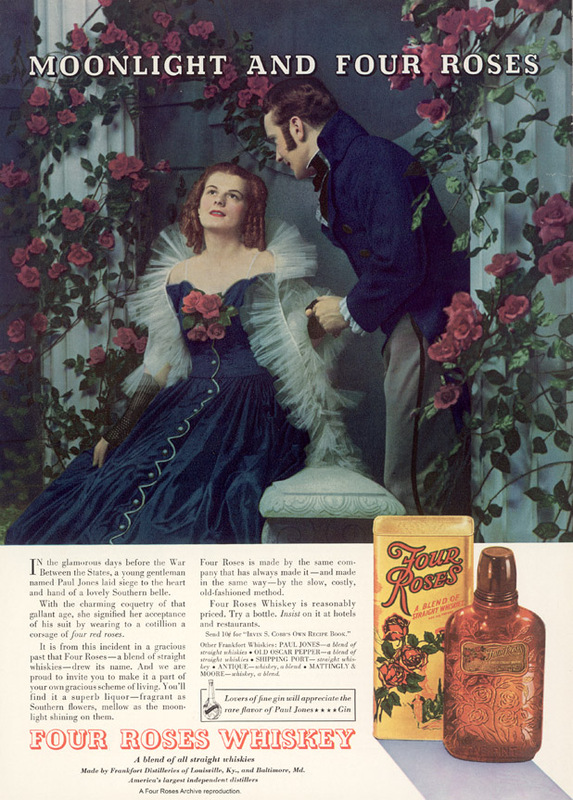 In 1935, the famous “Moonlight and Four Roses” advertisement highlighted the Four Roses Legend, featuring a Southern Belle and Southern Gentleman, which continues to serve as a source of the romance and mystique of the Four Roses story. The Great Depression opened up another opportunity for creative label design. 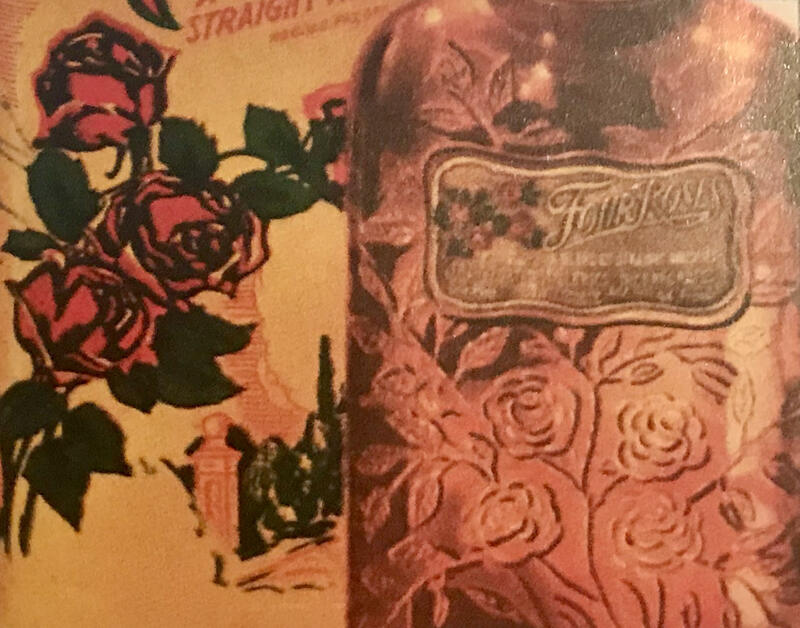 During this time, it has been said that the direction of the roses on the Four Roses label changed from hanging downward to upward in order to give consumers hope during a troubling time.